i'm obsessed with acorns for some crazy reason, i ordered a bunch from etsy. i also see some painted pumpkins in my future. and i'm loving the combo of emerald and metallic rose gold. 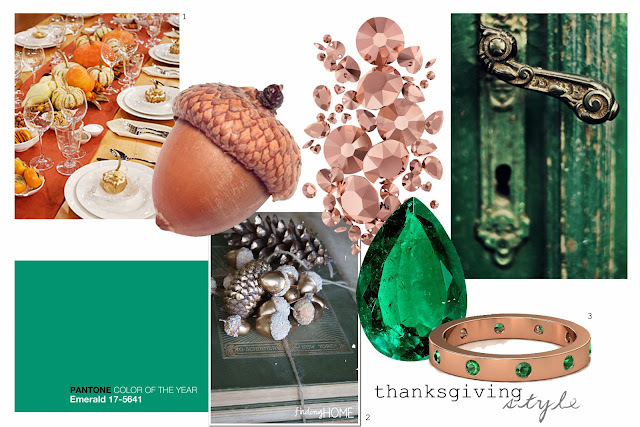 1) table setting from martha stewart 2)gold leaf and acorns from finding home blog 3)zoe band from gemvara.